Atlanta Stop Smoking and Chewing Tobacco Guaranteed! I have had the pleasure of helping thousands of people quit smoking and chewing tobacco over the past 35+ years. In fact, my unique hypnosis technique makes it so easy, after my preparation session, that after only one hour in hypnosis you’ll leave a happy non-smoker – not feeling deprived, not feeling that you’ve made a sacrifice, and not feeling any pain. 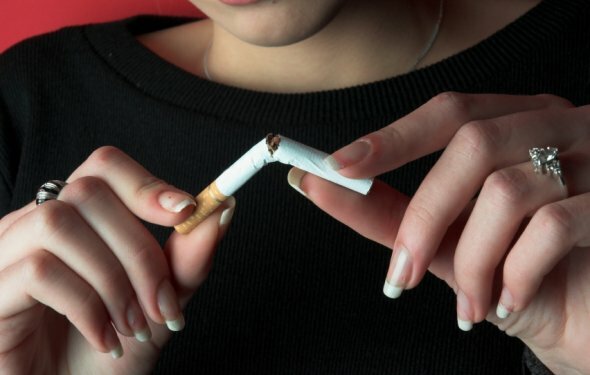 Instead, you’ll have a huge sense of relief and elation that you have at last achieved what all smokers long to achieve, you have become a happy, permanent, non-smoker. When smokers try to stop with other methods they suffer misery and depression caused by the feeling that they are being deprived of a pleasure or a crutch. The beauty of hypnosis, and the way we use hypnosis in particular, is that it removes this feeling of deprivation. It removes the need, and the desire, to smoke. You won’t need useless aids, gimmicks, or substitutes. No nicotine gum or patches. No inhalers or nasal sprays. No needles or lasers. All that you have to do with hypnosis is sit back in a nice comfortable chair, and relax. It doesn’t get much easier than that! The reason we can offer our unique guarantee, is because we have such a high success rate. Literally, more than 95% of people stop in one hour, and the remainder stop in a free back up session. How do we consistently maintain such a high success rate, year in and year out with just a one hour hypnosis session? Since the British Medical Association (BMA) and the American Medical Association (AMA) approved the use of clinical hypnosis in the 1950s, thousands of people have found hypnosis to be an effective way to stop smoking and chewing tobacco, lose weight, and otherwise improve their lives. Of course, there are varying degrees of success with hypnosis because much depends on the skill, experience, and general competence of the individual hypnotherapist, as well as the techniques being used by them. The beauty of our unique approach is that we use the best of traditional hypnotherapy techniques and combine them with the new science of Neuro-Linguistic Programming (NLP), and the pre-education takes hypnosis to an even greater level of effectiveness. And, of course, hypnosis is always by choice. So, the readiness of the client to become a non-smoker is necessary. The client must be motivated to stop. What will motivate you? It Only Takes Two Visits! Free consultations are required and can be done by phone, skype or in our office. 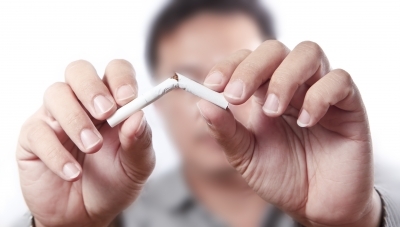 After that, it only takes one preparatory visit (interview and education on the mind, habits, and cravings) and then a second visit when you experience the guaranteed one hour stop smoking and chewing tobacco visit. Call for details and more information!